Last time I had this deal i sold over 350 rims in 4 days!!! 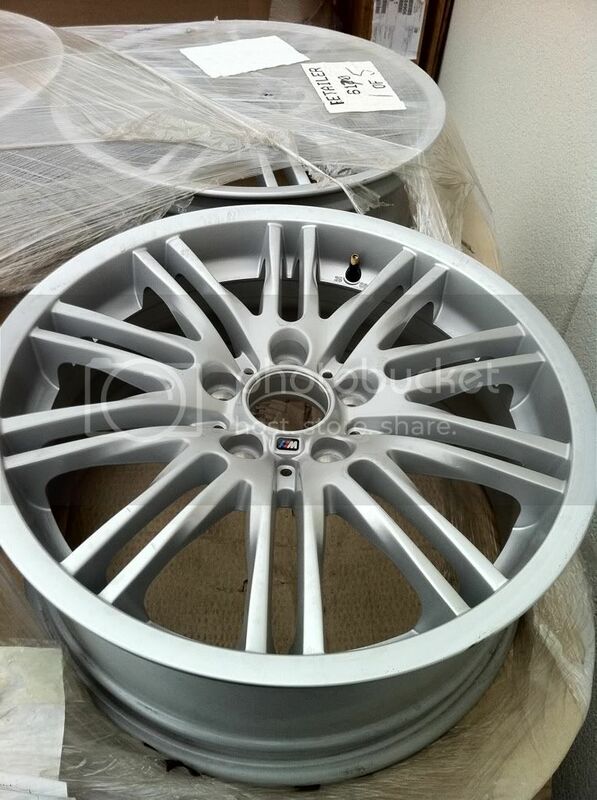 These rims will fit all the BMW E46's non xi models. THIS IS A LIMITED TIME OFFER. ONCE THEY SELL OUT THEY WILL BE GONE FOR GOOD!!!! DONT WAIT, TELL YOUR FRIENDS WITH E46 BMW'S THEY ARE ON SALE!! THESE RIMS LOOK AMAZING!! INTERESTED IN PURCHASING THE RIMS ? YOU CAN CALL IN AND PRE PAY FOR THEM NOW JUST CALL 416.213.5699 ASK FOR MIKE IN PARTS OR SEND ME YOUR INFO VIA PRIVATE MSG AND ILL PUT YOUR ORDER IN !! Wow!!!! Only 5 sets left!!!!! Holly crap, you can't even get wheels refinished for that price! They are new rims. They have never been mounted on a car. I believe tires have been one all of them at one point from bmw . But all rims are totally mint in brand new condition. Thanks for the deal mike. My Aunt and Uncle love the rims! i just got another set in today!!! Letting them go for $139 each rim !!! Can we order staggered set ups? Actually registered to reply to this. Any of these left by any chance? Also (just started reading the forum) do you ship to Montreal? i have one set left !! I do ship to montreal, but i dont ship out rims....sorry too many damage claims on rims ive decided to save my self, you guys and the post office the crazy headache!!! 7.5J x 18 ET:41 according to the ETK. You would need a 15mm spacer on the rear for an E46 M3. The nice thing about a square setup is the ability to rotate the wheels. Any Sets available? Will pick up this weekend? What size of rims are they 18?